I don’t have a type. I mean there are virtues and disappointments everywhere, but this one must have been singing my song because I heard it loud and clear. The knife has been carried, but never used or resharpened. It’s a trapper pocket knife with a coal truck embossed into the jet black handle. Trappers typically have two blades and mine is no exception. It sports a traditional 3 inch clip point blade and a funky 3 inch spay blade used to neuter stock animals and occasional bad guys in novels. It’s a well-made knife. Separate springs for each blade with no half open stop but a positive inclination to close and snap when the blade opens. 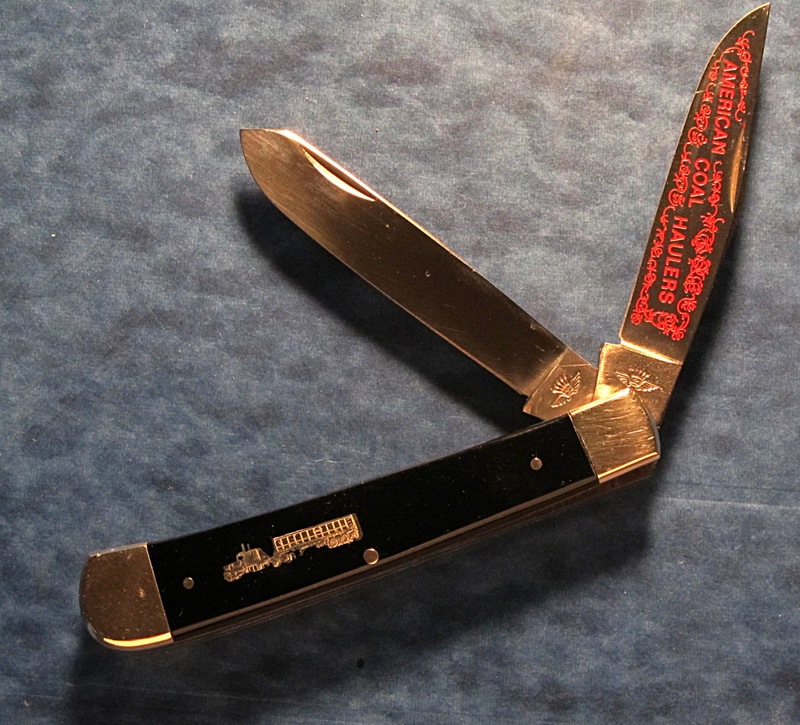 The liners are brass and even the springs inside the knife are mirror polished. The blades don’t have any wiggle and whoever owned it before me took good care of it. Who made it is a more complex story. It seems there is no knife company called Hardin nor is there any town in Germany which goes by that name. 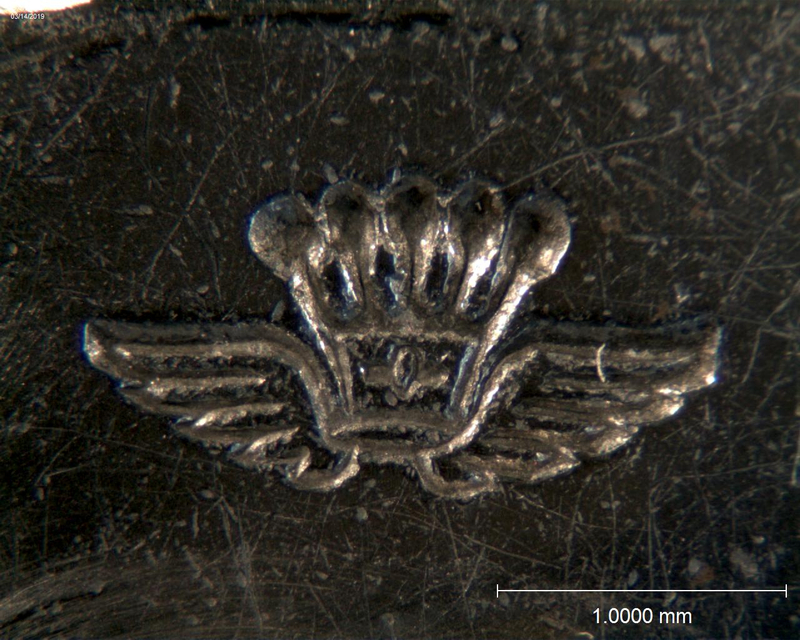 One of the knife forums suggested the crown logo is the key to unlocking this mystery. It appears the crown is the trademark for the Friedrich Olbertz Knife Company in Solingen Germany. It was founded in 1872 and produces brands such as Bulldog, Fighting Rooster and Eyebrand. Still in existence, they are a knife jobber specializing in small knife lots. The current management team is fifth generation family members. The current minimum order is 600 units. So who is Harden? That took a little more work. They are Harden Wholesale located in Kenova WV. I called them and the staff remembers the knife as being ordered by George Smith in the 1980s, but nothing else. I tried the phone number given to me, but Mr. Smith remains a mystery. Maybe the phone number and name is just good old boy WV humor. Hardens Wholesale appears to be a seller of dry goods. The photo I found showed plastic flowers for grave decorations, Carharrt clothing and Wolverine work boots. 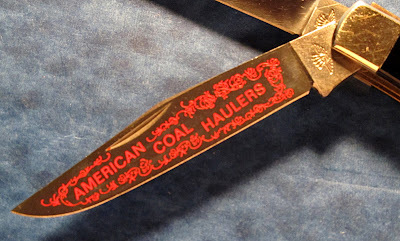 I’m sure a trapper pocket knife celebrating any aspect of the WV coal mining industry would be a hit. In any case, I’m happy to have it.